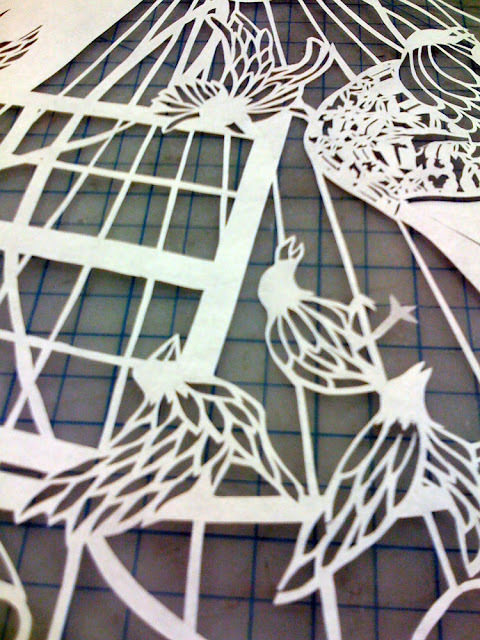 If It's Hip, It's Here (Archives): Shear Beauty. 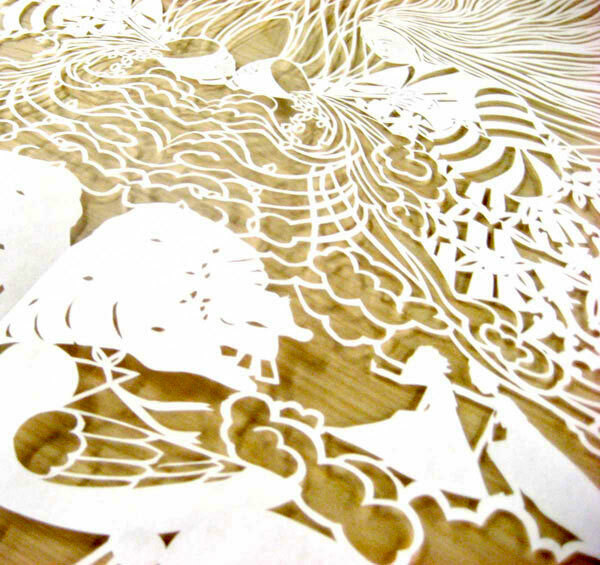 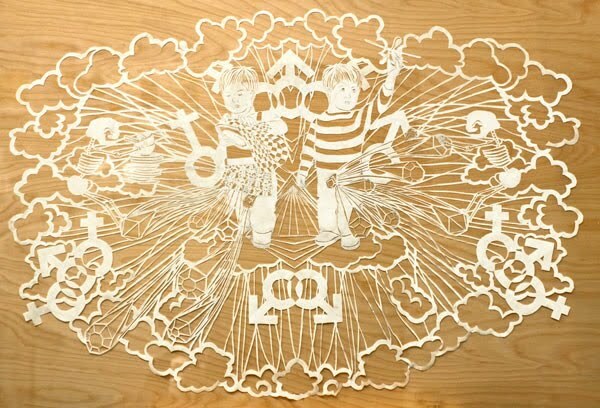 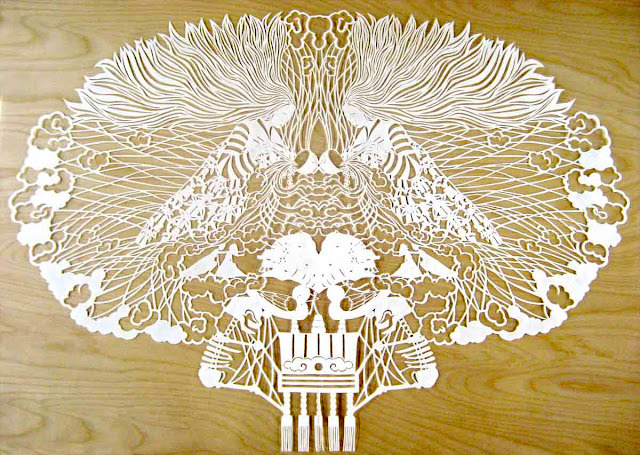 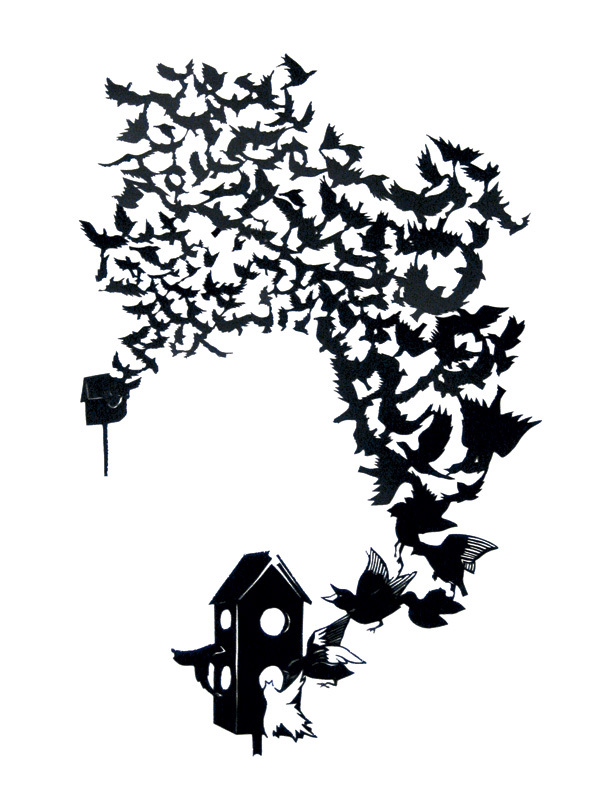 Cut Paper Art By Lorraine Nam. 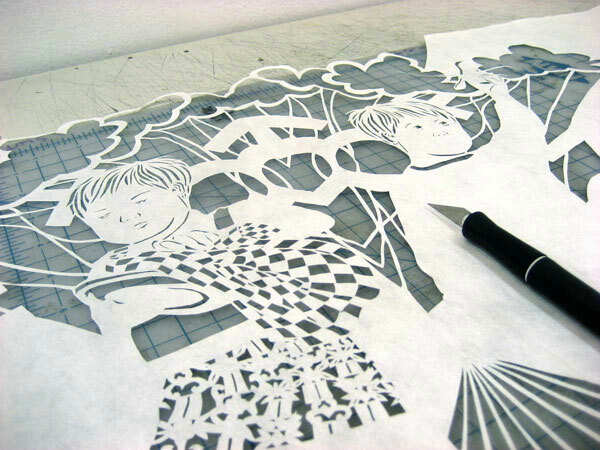 Like Peter Callesen, Helen Musselwhite, Yuken Teruya, and Yulia Brodskaya, here's yet another artist who's very talented with a pair of sharp shears. 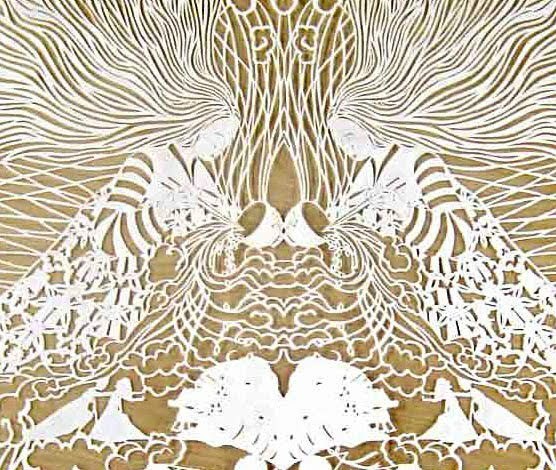 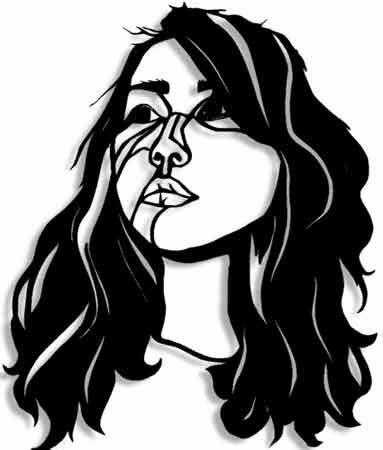 An illustration graduate from Rhode Island School of Design (RISD), Lorraine Nam paints, illustrates and hand-cuts paper like no one's business. 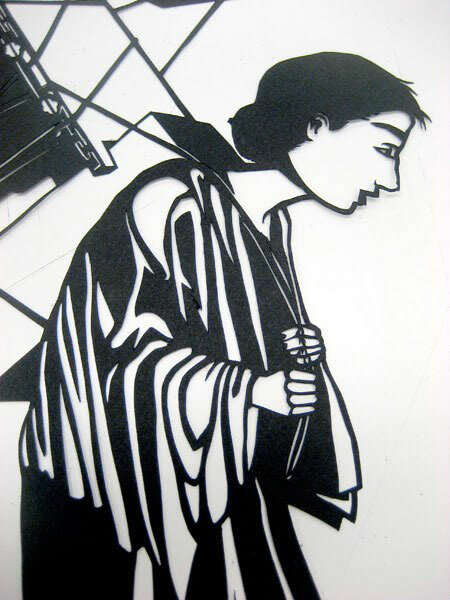 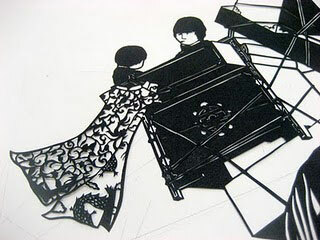 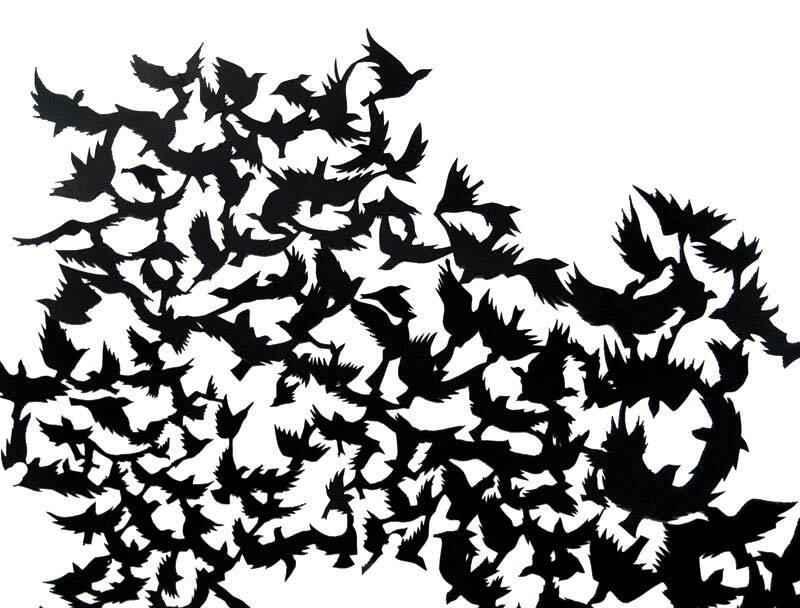 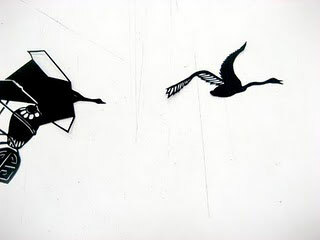 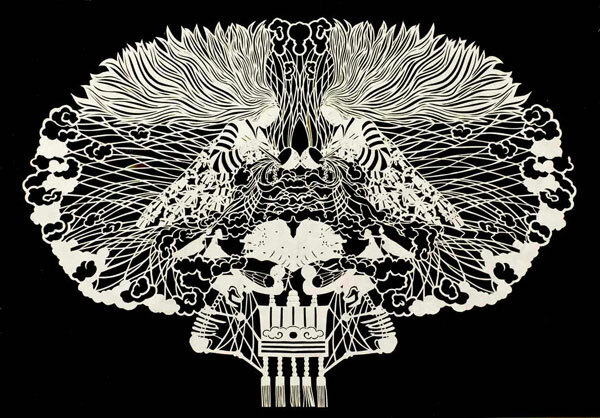 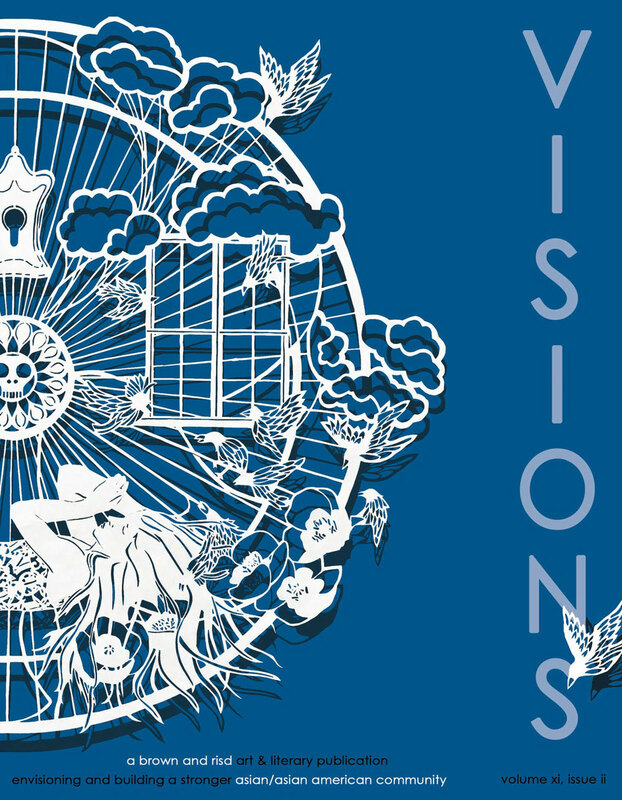 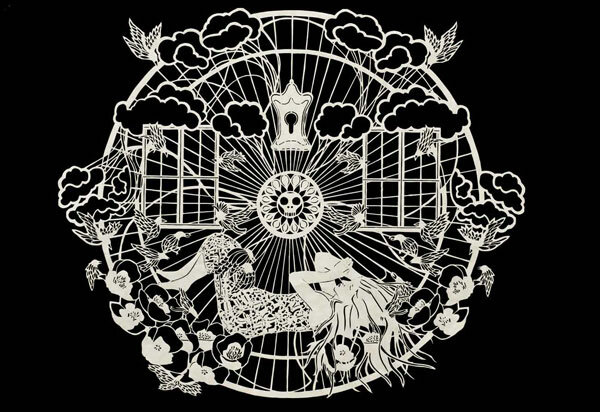 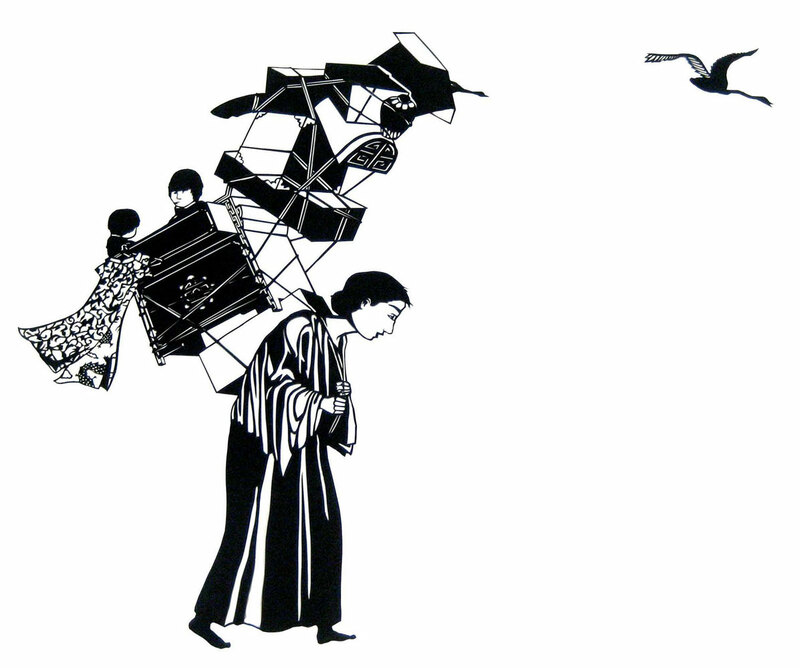 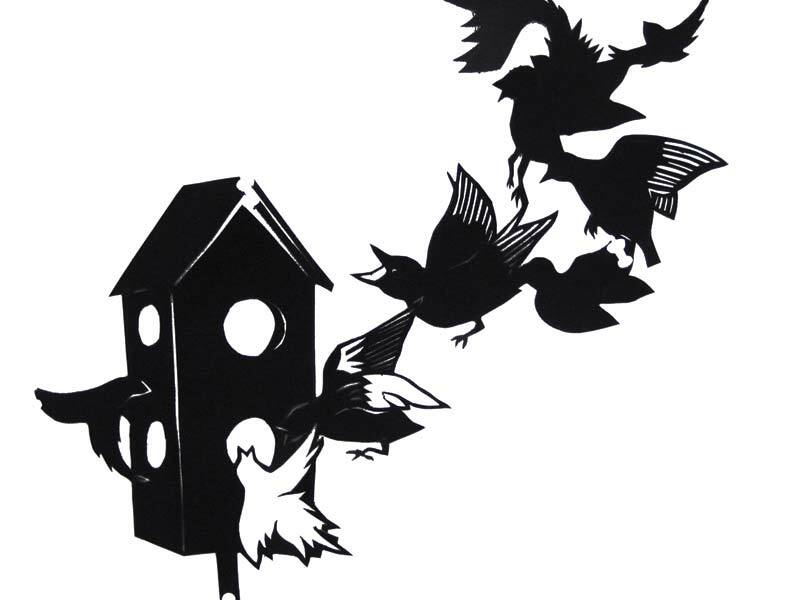 The results are Asian-influenced storytelling with highly detailed cut paper silhouettes. 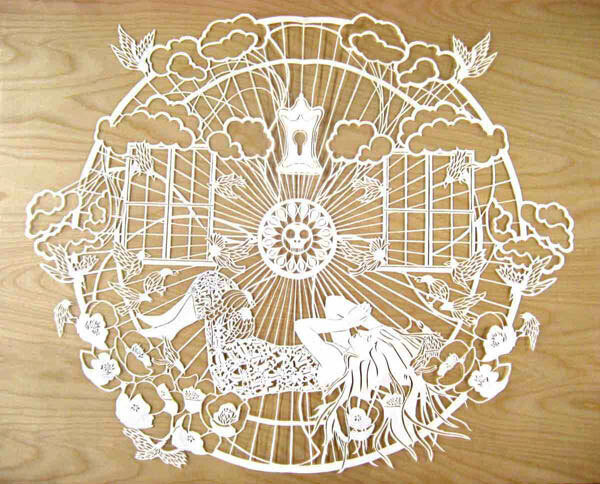 These three stunning and intricate pieces are crafted from a single piece of mulberry paper that measures approximately 22" x 30". 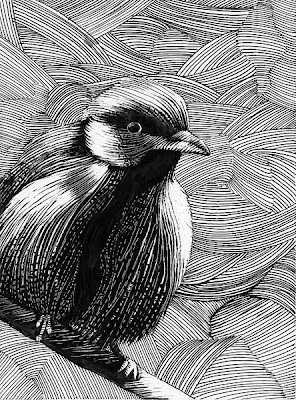 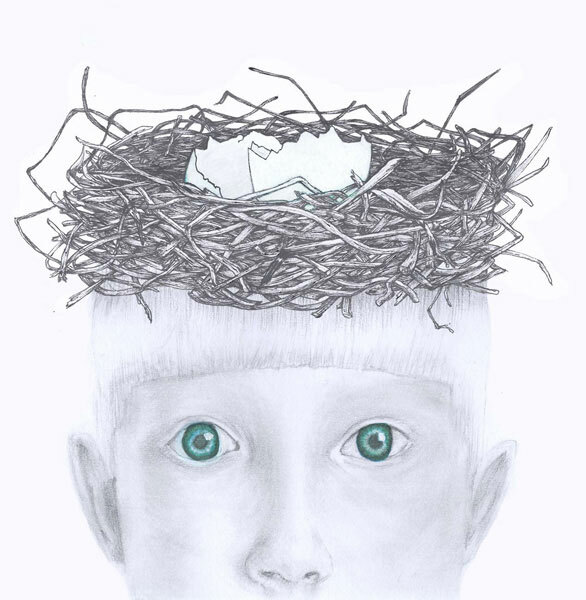 Be sure to see Lorraine's other work, such as her illustrations and paintings, like the bird and green eyed boy shown below.